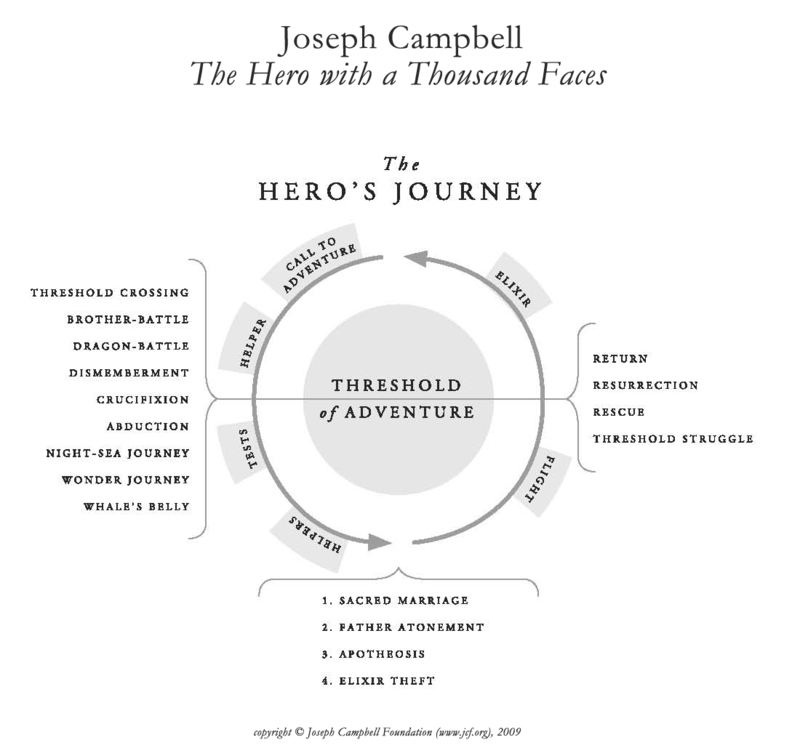 The Hero’s Journey® (from Joseph Campbell, The Hero with a Thousand Faces (Novato, Ca: New World Library, 2008), p. 210. 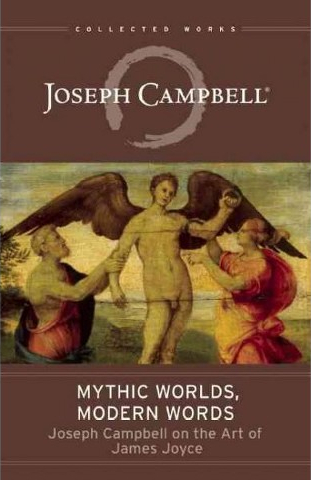 Copyright © 2008 Joseph Campbell Foundation. 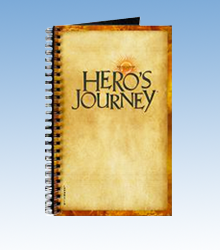 The Hero’s Journey is a registered trademark of Joseph Campbell Foundation. All rights reserved. Most attribute the foundations of Western story structure to Aristotle. 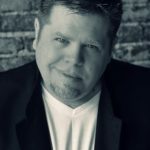 His simple idea that stories should have a beginning, a middle, and an end has long served as the template for how narratives have been communicated. 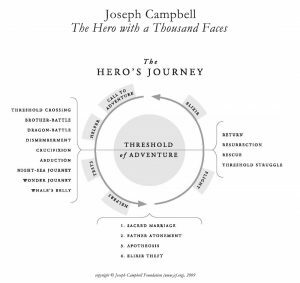 Joseph Campbell, by contrast, wisely popularized the idea that the narrative journey was actually a cycle — that every ending brought forth new beginnings, that every death brought forth resurrection and new life. 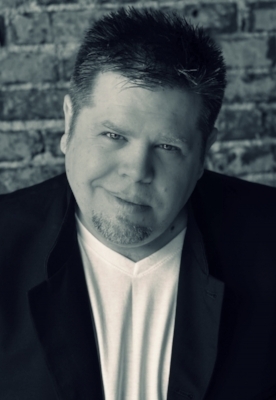 Growing up in East Texas, our family participated in the cultural ritual of composting. For the uninitiated, composting involves the return of food scraps and other organic disposables to the earth. Compost piles look disgusting to the untrained eye. They are a mass of rot and decay covered by insects and scavengers that manage to find something useful from what has been discarded. While the process of composting is the very picture of death, it is also essential to bringing forth and maintaining the ecosystem of life. The insects that feed on the rotting food become food themselves for birds and other animals who become food for other creatures further up the food chain. The cycle of death and resurrection continues. What is not consumed by the animals becomes fertilizer for other plants, which also becomes food for animals and humans alike. From death comes life. From what has passed, a new story emerges. Many of us are considering new beginnings in this first month of 2019. Too often, we imagine these beginnings as emerging from a blank slate. Most frequently, however, new beginnings are actually the reemergence of seeds that had long ago fallen to their death and been buried beneath the surface. Similarly, our stories move from ending celebrations to new initiations, eventually directing us toward a final ending for our own stories . . . Or is it? In the introduction to Mythic Worlds, Modern Words: Joseph Campbell on the Art of James Joyce, Campbell considers a curious Latin phrase that Joyce opens with from A Portrait of the Artist as a Young Man: “et ignotas animum dimittit in artes.” The phrase refers to Daedalus and is taken from Ovid’s Metamorphoses (Book 8, Line 188). Campbell tells us it is translated, “. . . and he turns his mind to unknown arts” (Mythic Worlds, 11). He goes on to remind us that Daedalus was the master craftsman that fashioned the labyrinth. In Metamorphoses, we learn he turned his mind to unknown arts and crafted wax wings that allowed him to fly away from Crete and the firm hand of King Minos. Theorists have offered a number of different ideas about what Ovid might have been getting at with the phrase “unknown arts.” Does unknown, in this case, refer to Daedalus’ choice to learn a new artform he wasn’t already proficient at? He learned a craft unknown to him in order to construct his wings. We could say, he learned to tell a new story. Campbell laments the fact that most conversations about the flight of the artist tend to center on Daedalus’s son, Icarus, and ignore him altogether, since in many ways, where Icarus failed, Daedalus succeeded. Campbell concludes by theorizing that Joyce referenced the Latin phrase because at heart he was an optimist who believed in “the capacity of a competent artist to achieve release” (Mythic Worlds, 11). We find story at the core of every art form, both known and unknown to us. Storytelling empowers us to charge into the cyclical patterns of our own life, believing that a better chapter may be waiting on the other side of the darkness. Where a previous year might have brought struggle, heartbreak, or even tragedy, an inherent drive within us draws our eyes toward the horizon and causes us to consider the possibilities that may lie beyond the horizon if we can stir up the courage to craft new wings and fly towards it. Perhaps there is new release waiting, as Campbell and Joyce believed. Perhaps there are unseen allies, mentors, and strategic partners just around the bend in our journey, if we only turn our mind to unknown arts and rise to believe what might be possible in the new beginning we just collectively experienced. Many of us long for a new story— a better story—in this new year. May we rise together, finding fresh narratives, enchanting opportunities, and the tools to craft new wings.